PALMYRA – Nothing has been decided. Nothing has slipped away. Everything is still fluid. 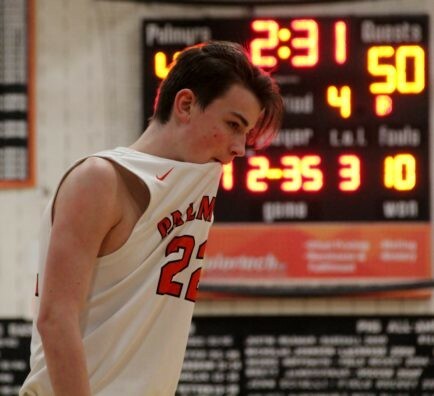 But the Palmyra boys’ basketball team needs to make its move soon. 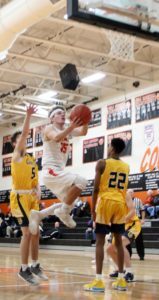 On Tuesday night, the Cougars’ season became a little more urgent, in the face of their 59-51 home defeat at the hands of Cedar Cliff. 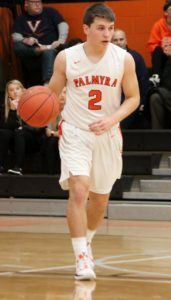 Palmyra got off to an ice cold start, on its way to being outscored over each of the first three quarters. 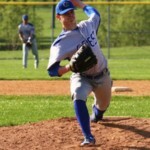 The result made the Cougars 5-8 overall and 3-6 in the Keystone Division of the Mid-Penn Conference. 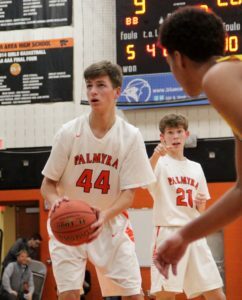 With nine regular-season contests remaining, Palmyra was situated 23rd in the latest District Three Class AAAAA power rankings. 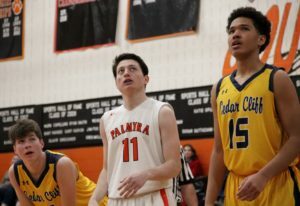 With the victory, Cedar Cliff improved to 4-10 on the season and 2-6 in the division. 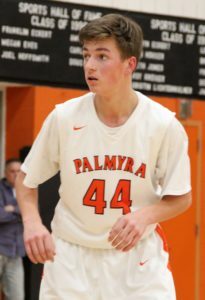 Back on December 11th, Palmyra had scored a 50-43 triumph at Cedar Cliff. 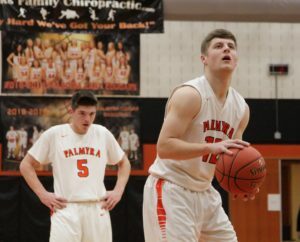 “That’s certainly the goal,” said Palmyra head coach Pete Conrad of the postseason. “We had a couple in there (the middle of the season) we would’ve liked to have had. And we have some coming up we’d like to have. This was one we thought we could win. That’s (the playoffs) certainly still the goal. 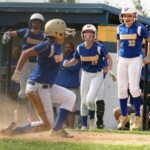 After falling into a deep hole early, the Cougars faced an uphill battle the entire way. 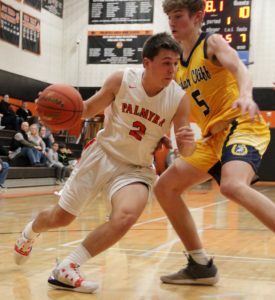 Employing some full-court pressure defense, Palmyra mounted a spirit comeback in the middle of the fourth period. 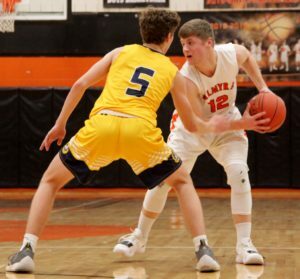 Down a dozen points, the Cougars rattled off six straight, courtesy of a Kasey Shughart three-pointer and free throws from Braeden Drescher and Christopher Edwards, to pull within 48-42, with three minutes left. 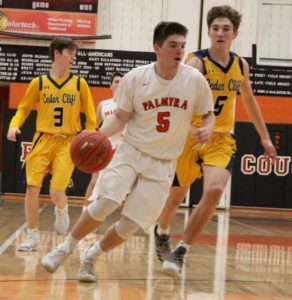 But Palmyra missed some key foul shots down the stretch, and the Colts righted their ship. 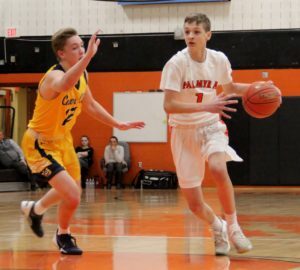 “We got reasonable pressure on the basketball,” said Conrad of his club’s fourth-quarter spurt. 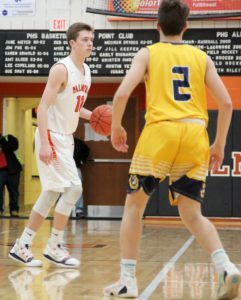 “It was probably a more adequate defensive effort than offensive effort. 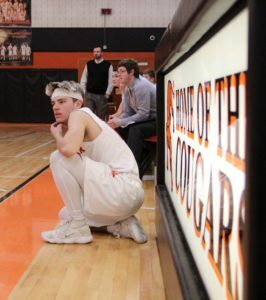 But I thought our guys did a great job of getting Cedar Cliff in foul trouble. The Colts’ largest lead of the evening came at 42-24, with 1:58 left in the third quarter. 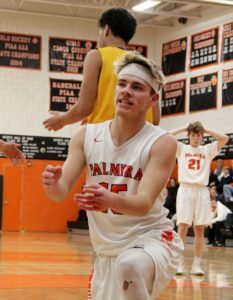 But Palmyra tallied the final five points of the period, on a Shughart driving lay-in, a Josh Mark bucket and a foul shot from Anthony Alviani. 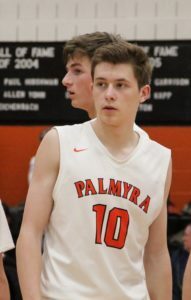 Shughart’s 17 points led all Palmyra scorers. 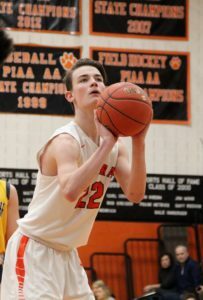 The Cougars made 24 of their 37 foul shots and outscored Cedar Cliff by nine points at the charity stripe, but the Colts outscored Palmyra 18-9 from three-point land. 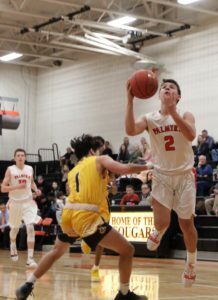 Palmyra did not score directly off an offensive rebound, and the Cougars experienced difficulties generating much offense in transition. Certainly the outset played a key role in the outcome. 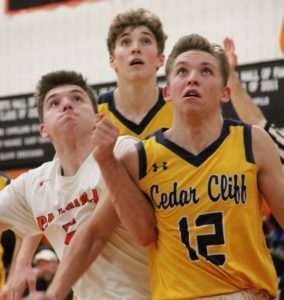 Feasting off Cougar turnovers, Cedar Cliff opened the game on an overwhelming 18-3 run, one that carried over into the initial moments of the second quarter. 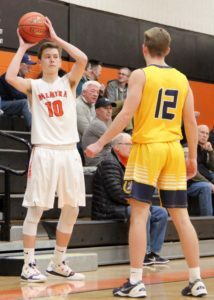 Palmyra stemmed the tide with Shughart free throws and a drive by Nick Morder, but the damage had been done. 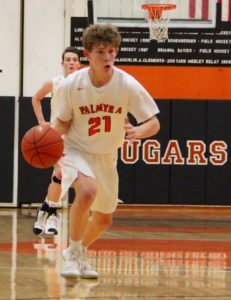 With 2:04 left in the first half, Palmyra pulled to within 22-14 of the Colts on a driving lay-in from Jake Wagner. But Cedar Cliff led 27-17 at the break.